age 82, passed February 17. 2014 at Sycamore Hospital. Born June 5, 1931 in Franklin, GA to Quillian and Eddie Kate Lovelace Wood, Sr. Retired Assembly line worker at GM. Preceded in death by parents; wife, Roseanne Wood; daughter, Natalie Wood; 2 brothers, 5 sisters and 1 grandchild. Survived by son, Stony (Shylon) Wood of Dayton; daughter, Vickie (Kevin) Meriweather of El Paso, TX; sister, Annette Young of West Carrollton, OH; 7 grandchildren and 5 great grandchildren. 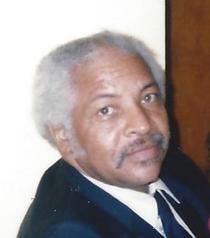 Service of memory Saturday, February 22, 2014 11 a.m. at Greater St. John MBC 4200 Germantown Pike. Public viewing after 9 a.m. at the church where the family will receive friends 10 a.m. until time of service. Interment West Memory Garden.